December 1 is the official "Worldwide Day of Service," kicking off the Church's Christmas campaign, "Light the World." In the 25 days leading up to Christmas Day, members are encouraged to spread the light of Christ by serving every day and using the hashtag #LIGHTtheWORLD on social media. Almost two dozen Utah musicians hit various venues across the valley Wednesday to kick off The Church of Jesus Christ of Latter-day Saints' Worldwide Day of Service. The day of service begins the Church's Light the World 2016 Christmas campaign. The month-long initiative encourages people to participate in any kind of service on each of the 25 days before Christmas. Wednesday morning, a group of musicians started at the Salt Lake International Airport, greeting travelers with Christmas music and a little holiday spirit. Local actress/singer Monica Moore Smith said, "We're singing songs to kind of light the world, one song at a time . . . kind of simple ways to brighten people's days." But the songs of the season didn't just ring out at the airport. Musicians took their talents to local businesses, warehouses, firehouses and schools. Songs rang out all across the valley and the internet as the musicians live streamed their performances across social media. 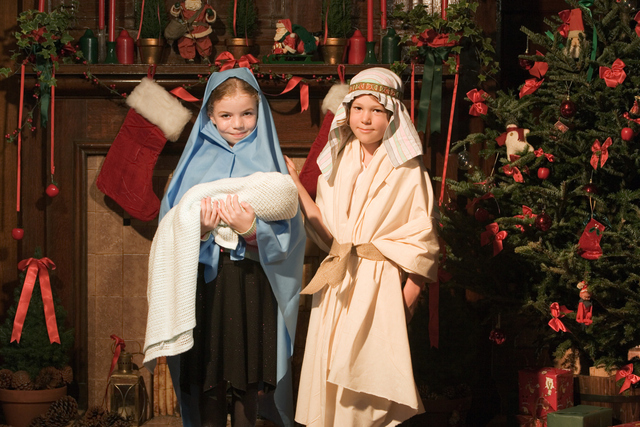 Watch The Christmas Project to get yourself in the serving mood, available at Deseret Book and deseretbook.com.